Tori and Keira. Keira is there twice one in purple wig one in brunette.(Source:kawaiibrit.deviantart.com). 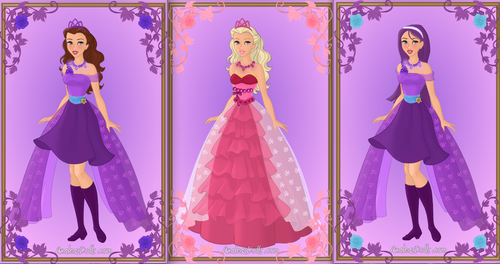 Wallpaper and background images in the 芭比 电影 club tagged: barbie the princess and the popstar tori and keira..
密码: 《芭比之歌星公主》, tori, and, keira.